The European Commission has adopted a decision imposing on Gazprom a set of obligations that address the Commission's competition concerns and enable the free flow of gas at competitive prices in Central and Eastern European gas markets, to the benefit of European consumers and businesses. Combined, these obligations address the Commission's competition concerns and achieve its objectives of enabling the free flow of gas in Central and Eastern Europe at competitive prices. Therefore, the Commission has decided to make these obligations (so-called "commitments") legally binding on Gazprom (under Article 9 of the EU's antitrust Regulation 1/2003). If a company breaks any of these obligations, the Commission can impose a fine of up to 10% of the company's worldwide turnover, without having to prove an infringement of EU antitrust rules. To address the Commission's competition concerns, Gazprom has to comply with a set of obligations aimed at ensuring the free flow of gas at competitive prices across Central and Eastern Europe. These obligations on Gazprom will be in place for eight years. They reflect feedback from stakeholders in a market test, which the Commission launched in March 2017on an earlier version of the proposal. This market test resulted in a significant number of replies from a wide range of stakeholders, including governments, national competition authorities, gas wholesalers, industry associations and academics, which helped to clarify and ensure the effectiveness of the final obligations. For gas to actually flow freely across Central and Eastern Europe, it is also necessary to have infrastructure in place for its transport, namely interconnectors that link national gas markets with each other. Such infrastructure already exists in the Czech Republic, Hungary, Poland and Slovakia. However, infrastructure connecting Bulgaria, Estonia, Latvia and Lithuania with neighbouring EU gas markets is not yet sufficiently available. This limits the ability of Gazprom's customers to re-sell their gas to and from these countries, even if they have spare volumes. Flexibility for Gazprom's customers to exercise this option: Following the market test, Gazprom's customers can exercise these options for smaller quantities of gas (50 million m3) and at shorter notice (four months). 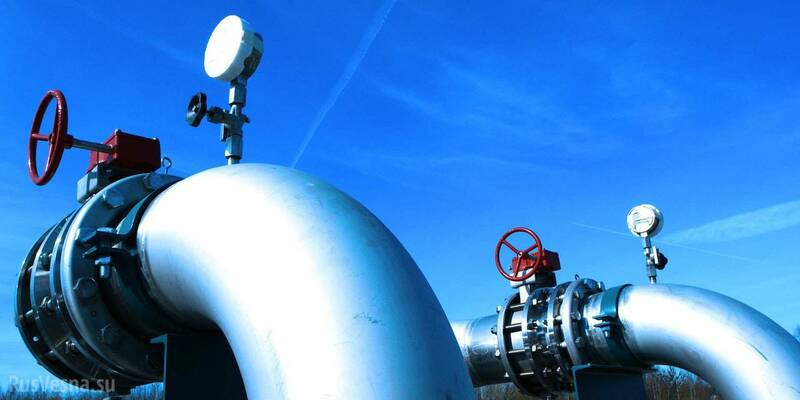 This mechanism enables gas to flow to and from the Baltics and Bulgaria, as if gas interconnectors with EU neighbours existed already. It will allow Gazprom's customers to seek new business opportunities even before interconnectors become available, to the benefit of consumers and businesses in Bulgaria and the Baltic States. Customers can demand lower price when their gas price diverges from competitive Western European price benchmarks: Gazprom's customers will have a contractual right to ask for a lower gas price, if the price they pay diverges from competitive Western benchmarks, including prices at liquid hubs. They can exercise this option at frequent intervals (every two years), with an additional "joker" every five years. Following the market test, existing customers can exercise this right immediately after the Commission decision and Gazprom must offer this right also to new customers. As regards the Yamal Pipeline, the Commission's investigation has shown that the situation cannot be changed by this antitrust procedure, as gas relations between Russia and Poland are determined by intergovernmental agreements. In any event, a decision by the Polish Energy Regulator in May 2015 did not confirm allegations that Gazprom would have foreclosed the Polish gas market with regard to the Yamal pipeline. The regulator found that the owner of the Yamal pipeline, Europolgaz (which is co-owned by Gazprom), is not able to delay or block investments on the pipeline: all investments, such as those enabling reverse flows from Germany, have been implemented as planned by the certified transmission service operator (Gaz-System).